This traditional form of milk kefir contains milk and starter … that’s it … simple, good stuff. 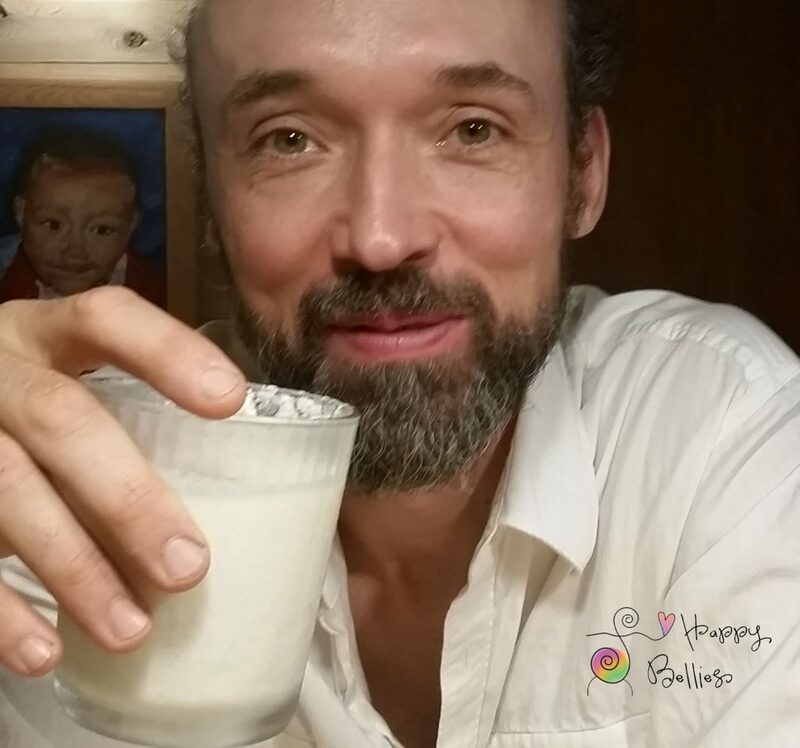 I was first introduced to this way of making kefir when I started practicing The Body Ecology Diet (B.E.D) to heal a chronic case of yeast overgrowth. 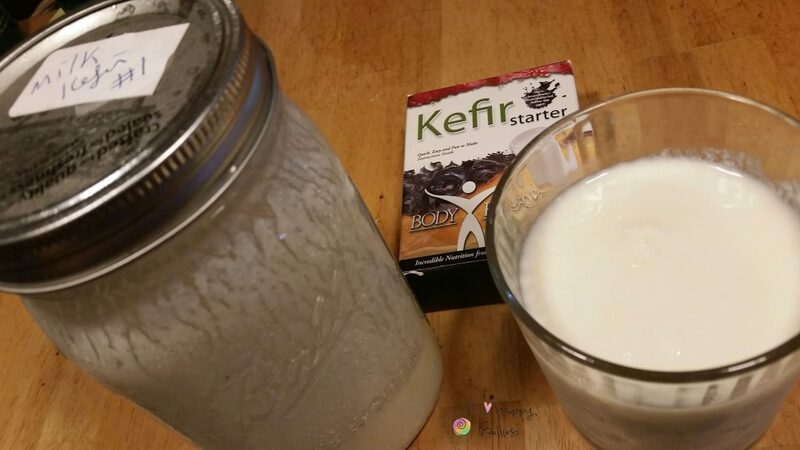 The kefir ended up also reducing my cravings and acne and endless bloating. My husband, who is from Czech Republic, says that he drank milk kefir all the time growing up and this traditional food is still all the rage in Europe, along with cultured butter and creme fraiche. When milk is kefired, it gets transformed by the probiotics in the starter; as they bust apart the milk protein (casein) and consume the milk sugar (lactose). This makes the milk easier-to-digest for us humans, especially those who are lactose intolerant. Kefir contains enzymes that contribute to milk kefir being a pre-digested food; one that is rich in probiotics. Traditional milk kefir also helps to keep the gut environment in a correct pH state. The recipe below is not made with ‘grains’ but with specific strains of flora that are desirable for those who are healing yeast overgrowth (i.e. Candida) or a bacterial infection (i.e. GBS+). This is not a wild ferment like other milk kefir that you might find on the store shelf or like kombucha. The flora found in the starter coat the gut in a way that creates the perfect living nest for them to live and colonize in. This is a good thing because the more good flora that you have living in your gut, then the less bad flora (yeast, bacteria, viruses) you will have living in there as the good flora will kill them off, a.k.a. ‘die-off’. This is how milk kefir and other probiotic food help you heal infections like yeast overgrowth while on The Body Ecology Diet. 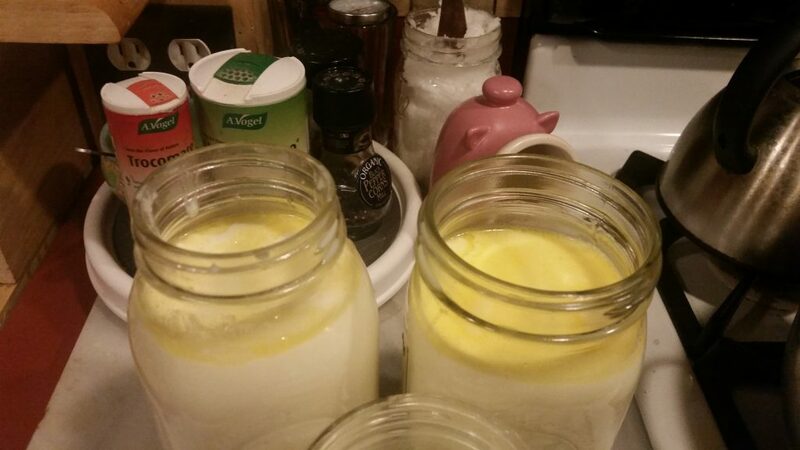 Milk kefir is easy to make, just go slowly once you begin to drink it; especially if you have a dairy sensitivity. Begin by introducing it by the spoonful. If you have a chronic digestive issue, then you may want to avoid all dairy, cultured or not, until your gut has time to ‘heal and seal’ or until you can easily digest food without discomfort. Traditional Milk Kefir Recipe for B.E.D. Thoroughly clean a Mason glass jar with a airtight fitting lid. Gently heat 1-quart of milk until it reaches skin temperature (about 92 F). Add in a packet of kefir starter*, whisk it a bit, and put a lid on the jar. Let sit at 72-75 F for 18-24 hrs. until slightly thick, with a pleasant sour aroma and taste. Once it’s thick, shake well, and put in the refrigerator. *I highly recommend Body Ecology’s starter. It contains potent strains of probiotics that can’t be destroyed by antibiotics, fluoride, stomach acid, chlorinated water, etc. before they reach the gut. Unlike most probiotics on the market, these flora strains remain intact as they travel through the intestines and make home to keep you balanced. Here’s how you do it…if you want to make another quart of milk kefir, then save 6 Tbsp. of your initial batch and add that to warm milk. It is best not to add more than the recommended amounts or you may get a sour kefir and need to start over. You can repeat this transfer up to 7 times before you need to make a new batch with a new starter packet. And on you go…I find the kefir has a hard time catching after I go past about 10 transfers. You will learn as you go by smell and taste. My experience is that the better care I take of my initial batches (#1 and #2) then the more I can milk them. No pun intended!